St. Mary's Catholic School is founded on Catholic values and committed to excellence. We are dedicated to forming the whole child to know, love and live the faith. 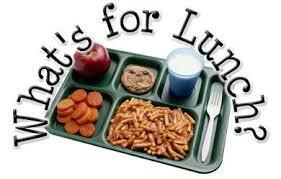 St. Mary's offers full lunch services through the Diocese of Alexandria. The safety of your child is paramount and we take it very seriously. Please help us to ensure your child's safety. Please click the tabs below to view and download the medical information forms. Return these forms to the front office or email the nurse. If your child takes any medication at school (inhalers, Epi-pen, Tylenol, etc.) please fill out the forms below and return to the front office. St. Mary's offers aftercare for students from 3:10 to 5:15. 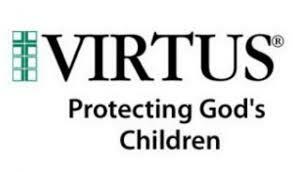 St. Mary's participates in the Diocesan Safe Environment training known as VIRTUS and is in compliance with all dictates from the local Bishop relating to hiring practices and screening of all salaried and volunteer personnel. A primary goal of the Diocese and administration is to provide a safe environment for all who spend time at the school each and every day. Sessions for Initial Certification are held throughout the year at the Minor Basilica of the Immaculate Conception Church Hall. Please preregister for these sessions: Click on FIRST-TIME REGISTRANT; complete all requested information. A background check must be conducted AND the results must be received before an adult may work with minors/vulnerable adults. You may also contact Mrs. Pam Delrie at (318) 445-6424 ext. 213. After Initial Certification, use must keep up-to-date on monthly bulletins thereafter.